What is Calcification? 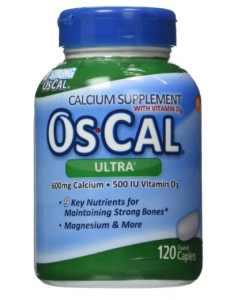 This is somewhat a follow up post from my last blog ‘Calcium Supplements for Heart Disease?‘ I received a heart rending comment from a young man whose father had been rushed to hospital last week with heart disease which was so serious, his dad almost died. He went on to say that the family had always consumed lots of dairy products and regularly used supplements to make sure their vitamins and minerals were topped up and especially that they had plenty of Calcium (Ca). Here is an outwardly healthy man in his early 60s who has never had a sign of heart disease. 50% of those who die of heart disease have no symptoms. (1) Their heart attack is the first and last symptom they have. This is a shocking figure and goes to prove there’s something really amiss here. I get so mad about these sorry situations because it’s not our fault and it can be avoided. We are told time and time again by the media, by the medical profession, by the food manufacturers, by television adverts that at all costs you must get plenty of Ca. This erroneous information has had a devastating affect on this family, to the extent that their father is now seriously ill with heart disease. All the family have been following the same diet regime and I really hope he has read my reply to stop taking Ca supplements immediately, especially as the whole family are eating loads of dairy products. Dairy products alone will provide plenty of Ca for a normal healthy person. The RDA for Ca in the UK is 700mg per day for an adult, Japan is 600mg and the World Health Organisation is 400-500mg. It is much higher for the US varying up to 1200mg per day. How much Ca do I have per day? To give you an idea of how much that is, I drink a lot of tea with milk. I consume 500ml per day (about a pint) of skimmed milk which has 610mg of Ca. This alone gives me my daily Ca requirement. So much of our food has Ca in it that I will be hard pressed not to go well over my RDA. 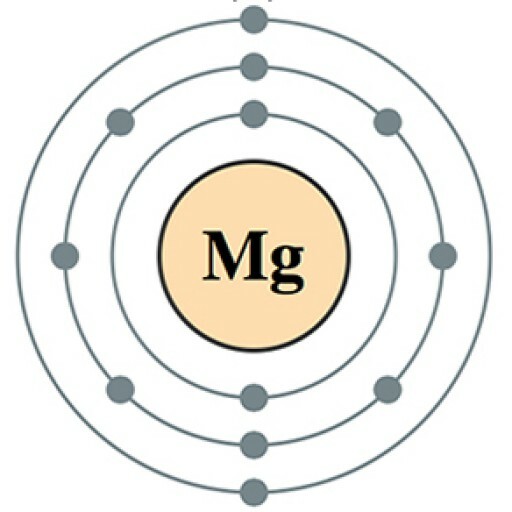 I also take around 600mg of elemental Mg per day, with the Mg I consume in my food, this will keep me on a reasonably even keel of an equal ratio of Ca to Mg. 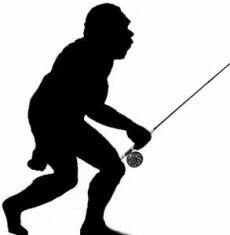 It is interesting to note that our bodies hold on to Ca, probably something that arose from our early ancestors when dairy products didn’t exist and the only milk we consumed was from our mothers during our infancy. The other Ca intake would have been from fish and bones. We certainly did not consume milk throughout our lives as many of us do now. How many animals do you know, other than humans, that drink milk after they’ve been weaned. Ca was at a premium then and intake of Ca was far below that of Mg. This is now reversed and we have ignored this reversal to the detriment of our health. How long will it be before our medics take notice? How long will it take for the medical profession to wake up and take notice of the research that’s been done on how heart disease comes about. There are only a few doctors that seem to know the truth about heart disease and their efforts to educate the public falls on stoney ground just because nobody will LISTEN and big pharma certainly wouldn’t want you to change your ways and become healthy because it would seriously affect their PROFITS! 1 in 4 of the deaths in the USA are from heart disease but still the medical profession seems to be no further on as to why this is happening and the answer is staring us all in the face. Have you heard of ‘occam’s razor’ you know, where it’s said the simplest answer can often prove to be the right one? Well in this case a simple answer is the answer to much of our heart disease cases. How long will it be before the medical profession takes all the research on board and starts using natural remedies before drugs have to be administered. As there are a plethora of conditions that arise from Mg deficiency, how about starting from there! We all need a good supply of Mg, ALL of us. Knowing that the majority of the population are deficient in this vital mineral, why isn’t the general public being educated about it by the media, the medical profession, the food manufacturers. So what about Big Pharma? Big Pharma actually produce supplements as well as drugs. Why shouldn’t they, they’re a good revenue stream. Interestingly though, I had a look at one of GSK’s (Glaxo Smith Kline) supplements of Calcium. A picture of the bottle is at the top of this post and the ingredients are to the right. I could not believe what I saw. The ingredient with the highest milligrams (mg) listed was, of course, Calcium at 600mg per caplet. Magnesium was also listed but guess what? 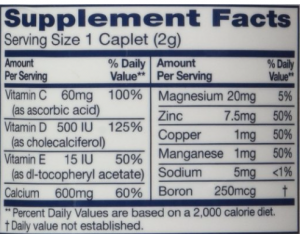 This supplement only has 20mg of Magnesium per caplet and I bet you pound to a penny this Mg will be the cheap Mg oxide which is only 4% bioavailable at most. This is scandalous, this works out at a Ca to Mg ratio of 30 : 1 at best… Well I suppose it’s quite a good way of ensuring your patients of the future! In Part 2 of this post, I will get to the title of this article ie. What is Calcification? and explain what happens to your heart when you don’t get the Mg you need and/or your Ca to Mg is biased too much towards Ca. This was a really interesting article on calcium and on the vitamin supplement industry in general. So many people just take vitamins just because they think they should, never knowing how they are made or where the come from. I guess you can consider it acting in blind faith that they are doing the right thing. Thank you so much for all this information. Looking forward to reading part 2. This all makes so much sense! I really do feel as if I am magnesium deficient. I get heart palpitations and have have loads of tests done at the hospital (EKG, ECG 24 hour holter etc) but they said nothing is physically wrong with my heart. I feel I eat quite a bit of calcium based food (I’m mostly dairy free but drink a lot of dairy alternatives) but very little magnesium. What would be the best foods to eat to ensure I get the recommended amount of mg per day? Hi Hannah and thanks for reading the post, part 2 will be out later today by the way. If you’re getting palpitations this is a prime symptom of Mg deficiency, along with many others such as: painful muscle spasms, twitches around the eyes and eyelids, restless leg syndrome, insomnia, digestive problems – commonly constipation, headaches, elevated blood pressure to name but a few. Why your medics didn’t suggest magnesium supplementation is beyond me! Brilliant article, very well researched and hitting the nail on what is exactly going on with big pharma! This is the reason I don’t particularly count how much of what I am getting..I just make sure I am eating at least 7 7 fruits and 7 vegetables (organic) daily! If and when I do need supplements they are organic and not made by the big boys! I’m a doctor from Scotland and I have a few comments to add. Firstly, doctors are extremely aware of why rates of heart disease are on the rise – it is due to the massive rates of obesity in the Western world, combined with smoking and diabetes that put so many people at such high risk. Secondly, your statement about magnesium and heart disease doesn’t really make sense. Magnesium has absolutely nothing to do with atherosclerosis, the process that causes arterial blockage. Finally, we routinely check magnesium on all new patients, and hypomagnesaemia (low magnesium) is extremely low. I would be careful about oral magnesium supplements because they have quite a high side-effect profile when it comes to your bowels and as you commented about calcium, we can get all the mineral see need from our diets so I would stick with that. Hi Dave and thanks for reading the post. Of course smoking, obesity and diabetes will put people at risk of disease but the biggest problem is stress related. Stress is a primary cause of Mg deficiency because of the ‘fight-flight’ response that stress initiates. There are many stressors including psychological, emotional, physical, environmental, pharmaceutical drugs, toxins. Mg deficiency causes cardiovascular damage because of electrolyte imbalance. This causes energy loss, starving the heart and compromising heart cells which will start to die. The blood vessels become weakened and inflamed. 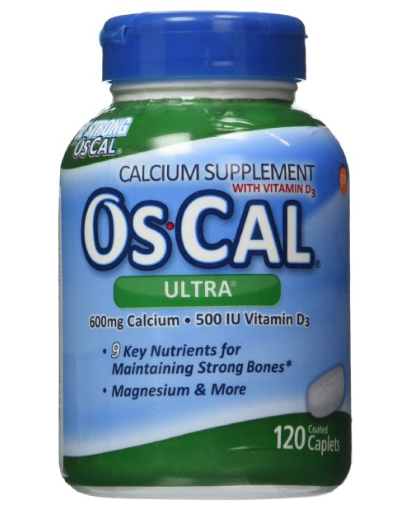 The plaque and calcium deposits are the body’s immune response to inflammation. C-reactive protein levels will elevate. Atherosclerosis is included as a consequence of this starved heart model as is arrhythmia, angina, cardiac arrest, heart attack, stroke, hypertension. Heart disease and problems with all the cardiovascular system is the end result. Much research has been done regarding the link between heart disease and Mg deficiency and much misery could be avoided if the imbalance between Ca and Mg was checked and addressed as a preventative measure. Mg plays an essential role in regulating Ca in the body as well as producing the energy (Mg-ATP) the body needs to function. Without Mg these processes cannot be maintained and can be potentially disastrous for the heart and cardiovascular system and other diseases such as type 2 diabetes. Without Mg to control it, Ca is a rogue element and will migrate to parts of the body it has no business being, including the cardiovascular system. Without Mg as its ‘gatekeeper’ excess Ca in the mitochondria inhibits ATP synthesis. Calcification of the mitochondria without the intervention of sufficient Mg will eventually result in cell death. I’m pleased you routinely check magnesium levels in your patients but what test is done? If it’s a serum test then it will not be accurate as it only evaluates the amount of free Mg in the plasma which equates to around 1% and this level is kept constant even when Mg is depleted. A far more efficient test is the RBC-Mg test which actually measures Mg in the red blood cells which holds up to 40% of the body’s total. If this more modern test was done on your patients, I suspect you would get different results. As for oral Mg supplements, there are various compounds out there for people to choose from. Mg sulphate, which is the compound you’re probably referring to, is best used topically because of its powerful laxative effect. I myself take 600mg of MgCl2, which has a SVC of zero which makes it one of the best bioavailable Mg compounds, suitable for taking orally with little laxative effect or administered topically. Mg Citrate powder also has a quite high bioavailability and is useful for those who require a gentle laxative effect. (Many who have Mg deficiency suffer with constipation). Sorry this is such a long reply but the subject is massive and we’ve only scratched the surface here. You’re obviously interested in this topic and I hope you can find the time to have a look at some of the research results on Mg deficiency and its symptoms and related conditions, one of which is definitely heart disease. Even so, the importance of the Ca to Mg balance has been proven and it makes sense to educated the population as to how to keep that balance as near to 1:1 as possible.